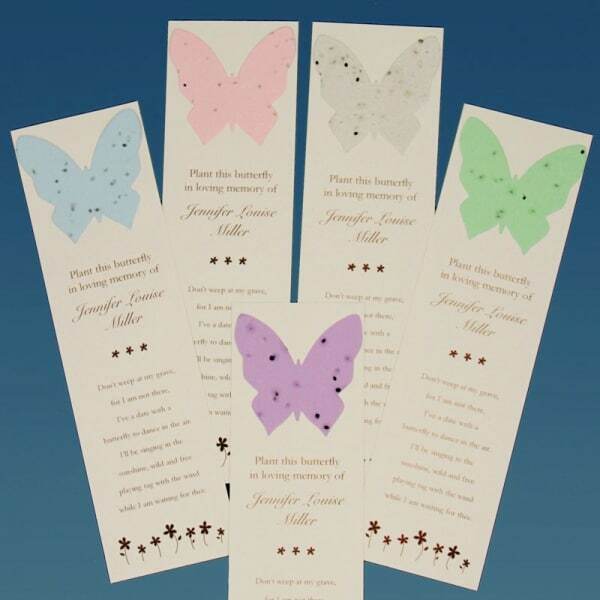 Share these seed butterfly bookmarks that are personalized with name and poem. They’re eco-friendly and bloom beautiful wildflowers and forget-me-nots when the seed paper butterflies are planted. 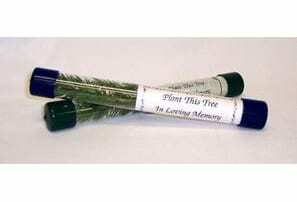 These memorial bookmarks bring peace with a beautiful poem and your loved one’s name and grow into a blooming memento of their life. 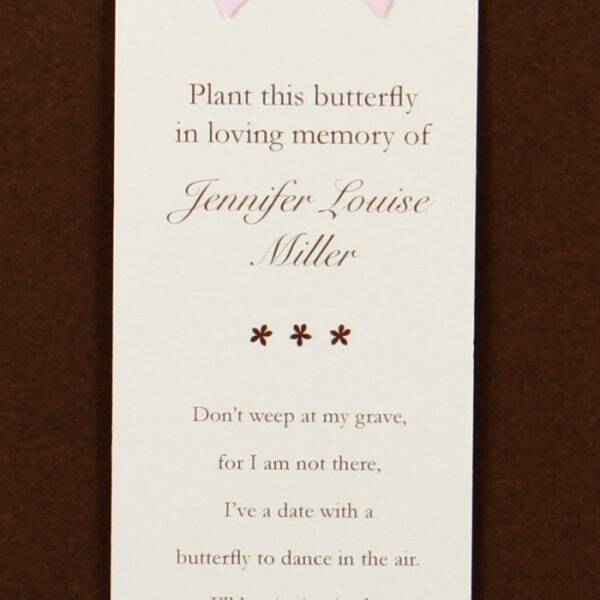 Once the butterfly shape is removed and planted, the bookmark can still be used and your loved one will be remembered. 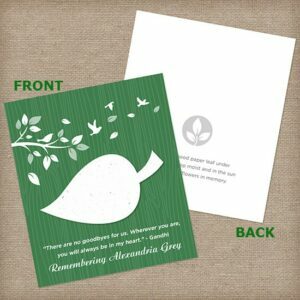 These unique tokens of remembrance are available in five plantable paper colors and include simple planting instructions on the back. 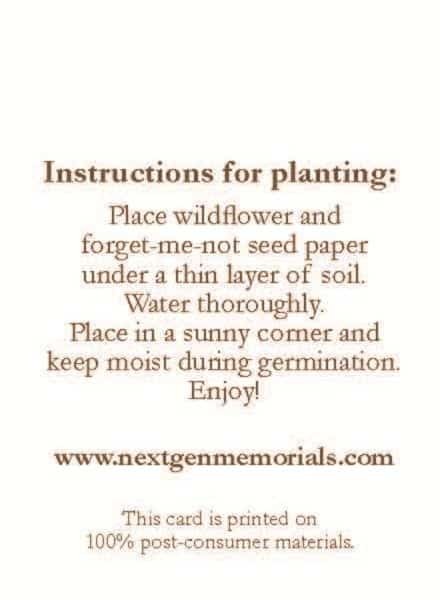 This is a perfect tribute to the person who loved to read and also loved to garden. 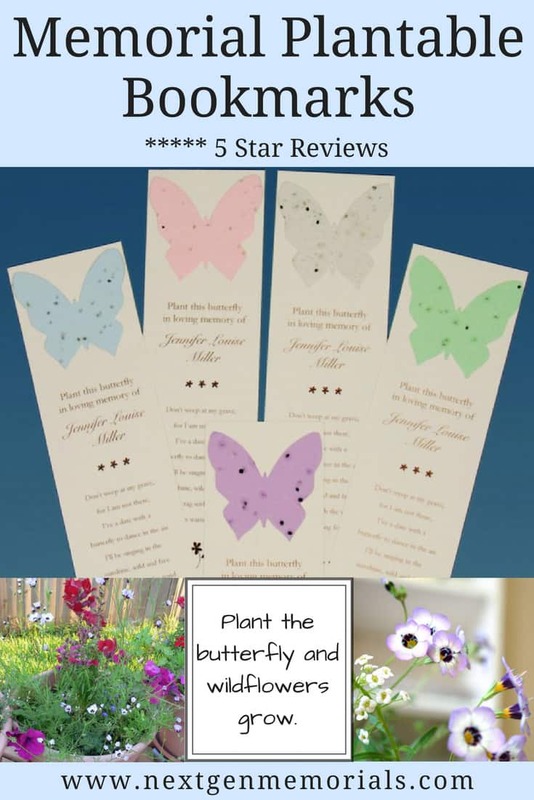 Butterfly bookmark shape colors (choose colors in sets of 25) Select in the following five colors: blue, pink, white, green or purple. 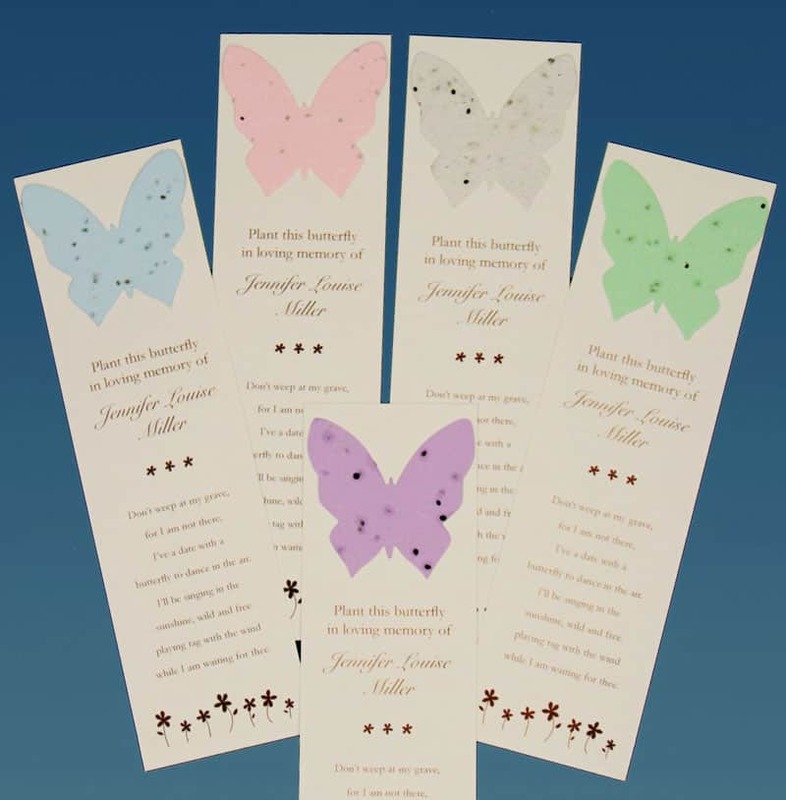 Bookmarks measure 2 3/16 x 7 3/4 inches. 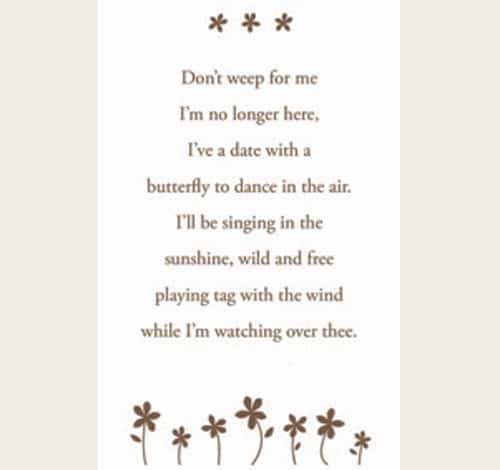 while I’m watching over thee. 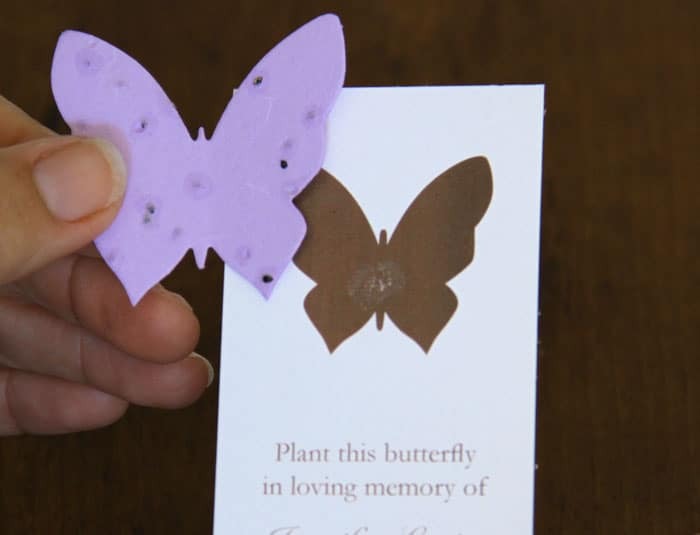 This butterfly bookmark for funerals grows when planted and blooms into gorgeous blue forget-me-not flowers and wildflowers for all to enjoy. 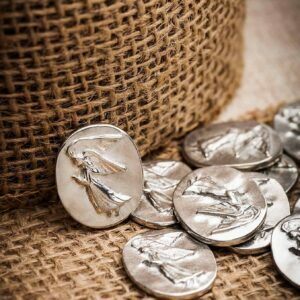 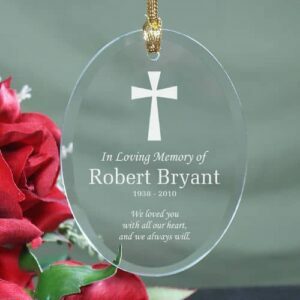 They will be an ideal personal funeral gift for guests to take home. 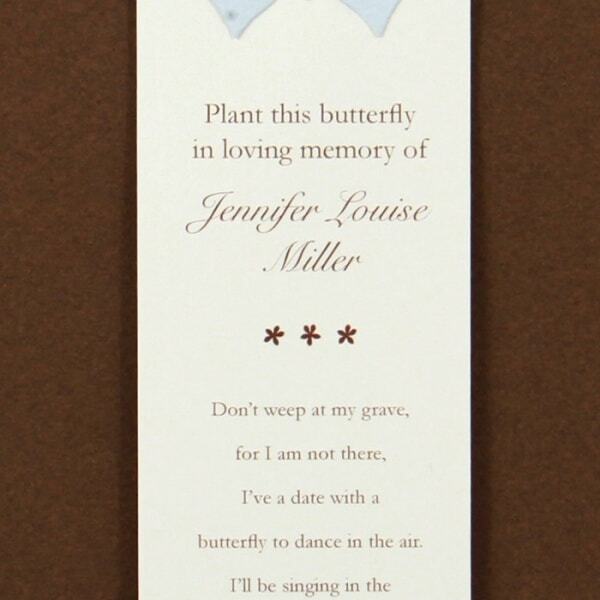 Personalize the butterfly bookmark with a poem and dedication. 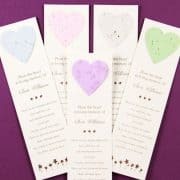 You can include up to 4 lines in the top section, and up to 12 lines in the bottom. 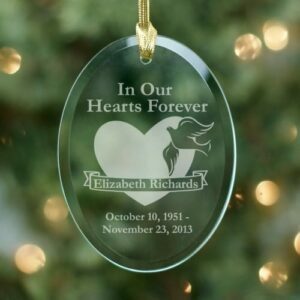 For hospices, hospitals, or group memorials, replace the name with “your loved one” for a beautiful non-personalized memorial gift. 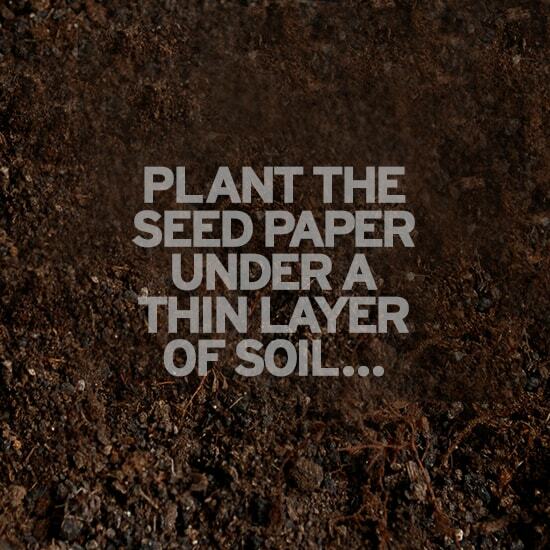 Simply choose option two above when ordering. 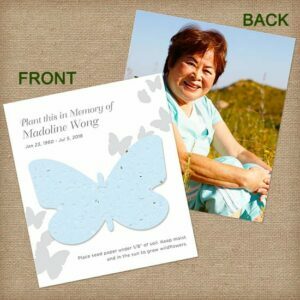 View more ideas for hospices, hospitals and other groups. 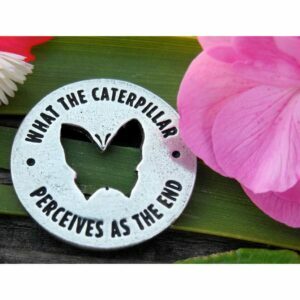 We ship to U.S., Canada and 25 other countries. 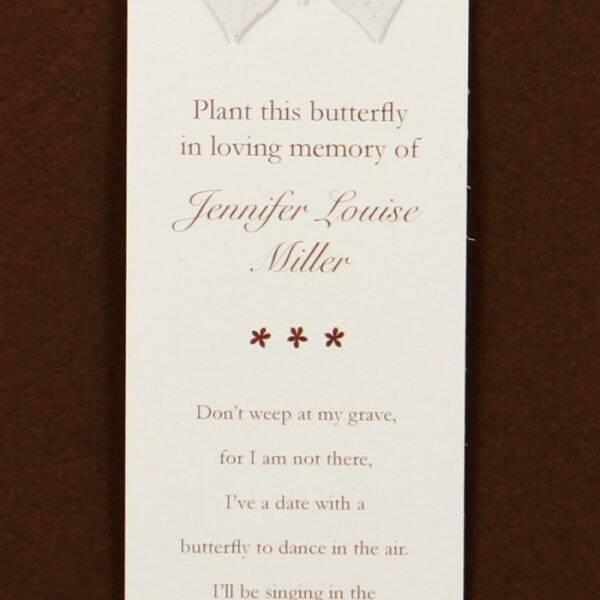 See the list of countries where we can ship the butterfly bookmark. 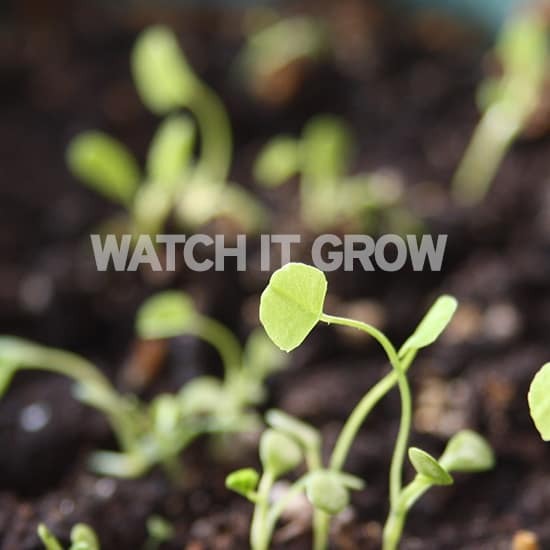 View the type of flowers that grow from the seeded paper. 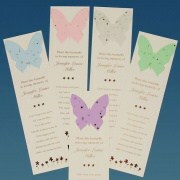 The butterfly bookmarks arrived in plenty of time and looked wonderful. 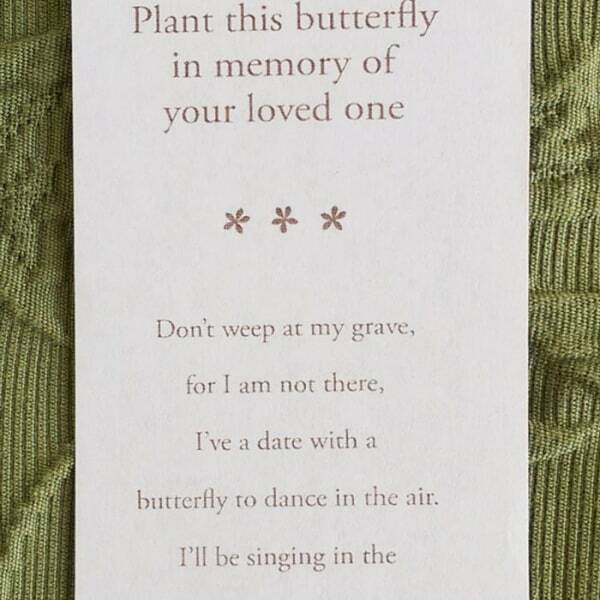 They were a highlight of Mom’s funeral service. 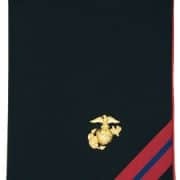 Thank you so much for all of your help and your personal attention to make the day perfect. 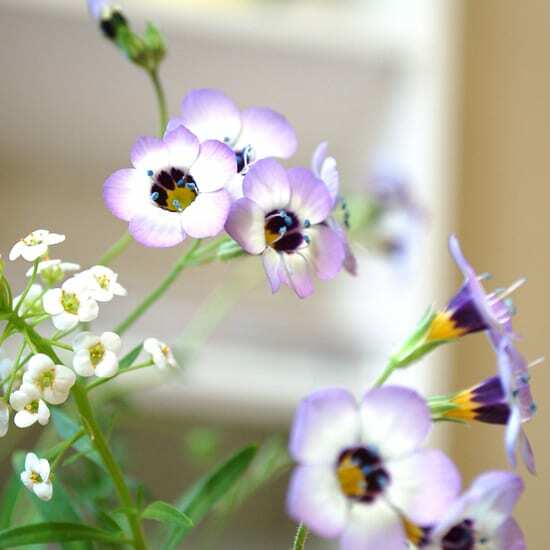 Thank you very much…We will recommend you highly. 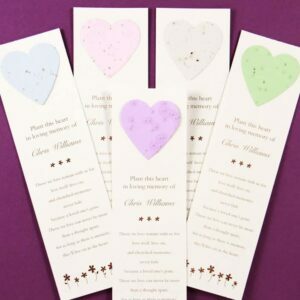 Just wanted you to know, EVERYONE loved the butterfly bookmarks with the forget me not seeds! 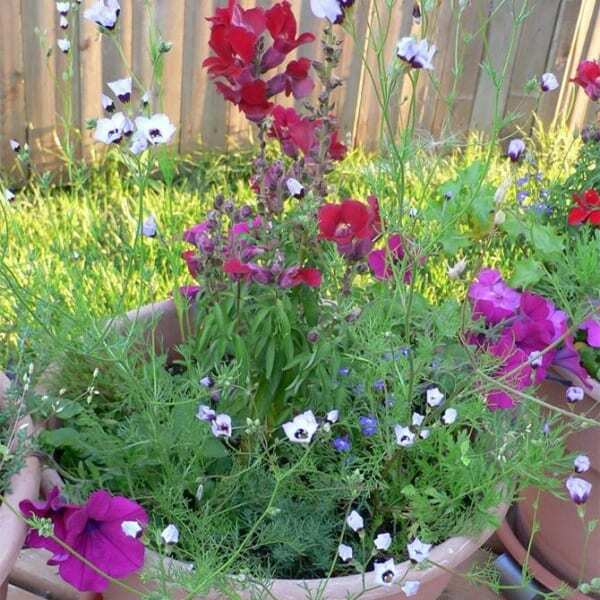 They all wanted to know where I had found them and were amazed how clever and cute they were. 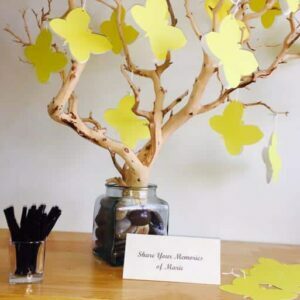 Thank you for such creative ideas to make our mom’s memorial that much more special. 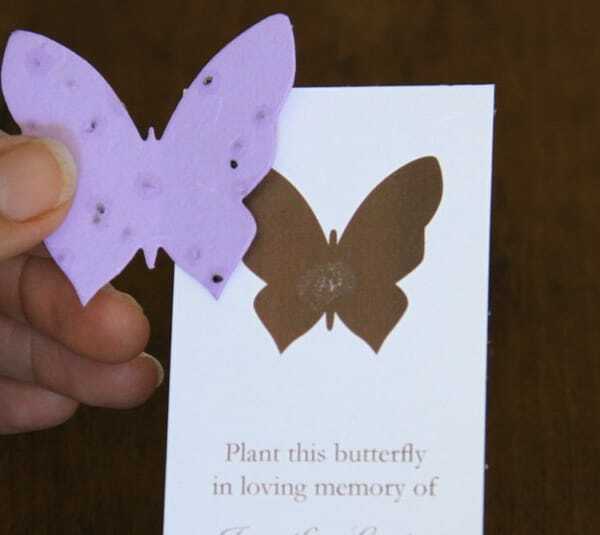 I want to thank you for all your help on the memorial butterfly bookmarks that you made for my fellow teacher and dear friend, Anita Downey’s memorial. 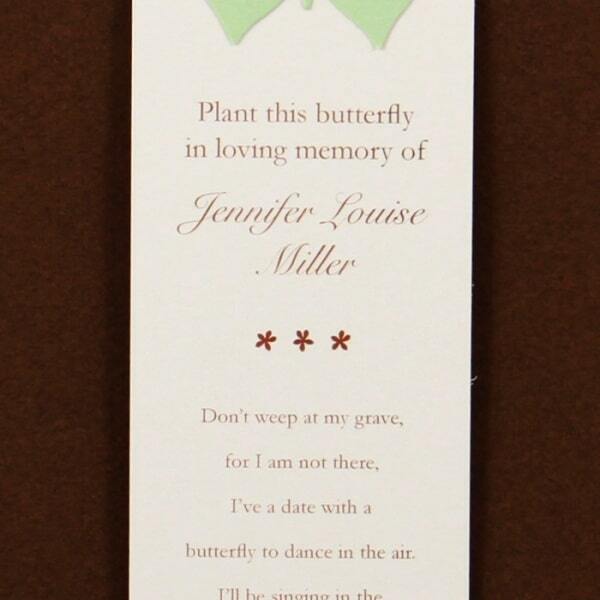 We had the memorial at my school today, and everyone thought the bookmarks were wonderful. 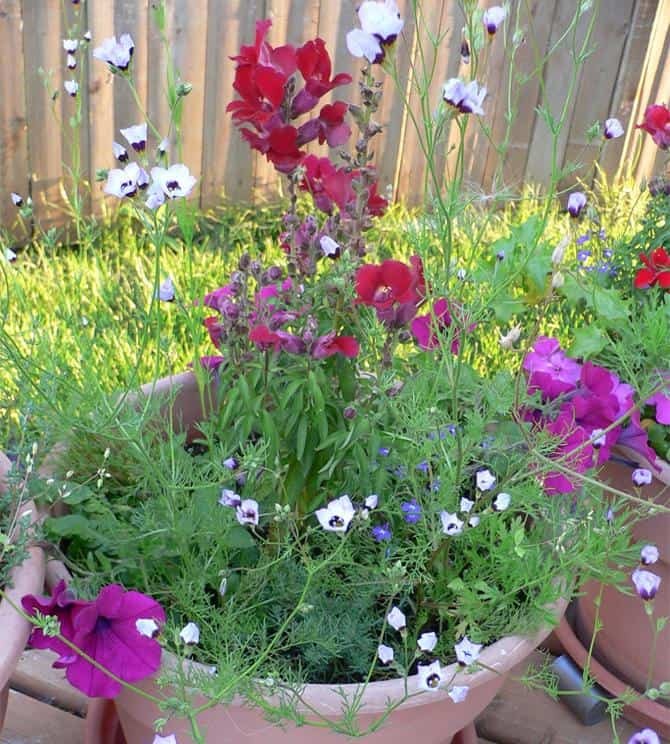 Her husband and two young daughters were so pleased. 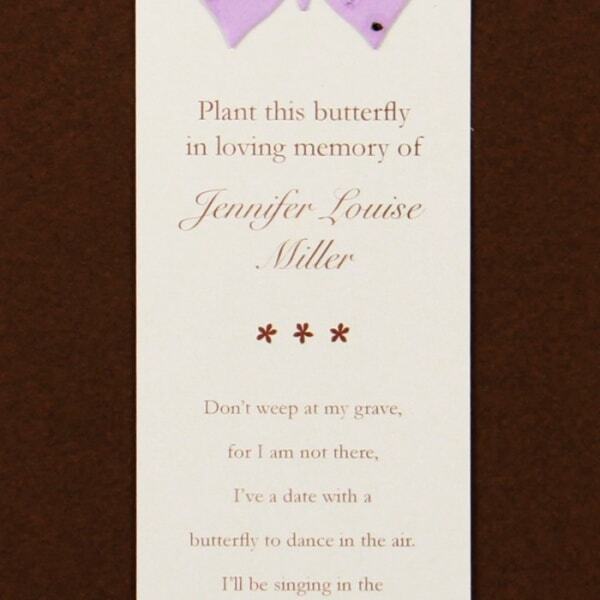 Anita’s mom and sister could not get over how lovely the bookmarks were. 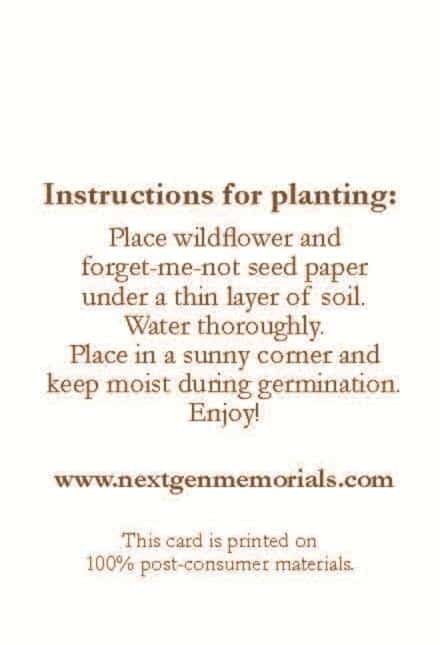 Thank you for all your help at this difficult time.